I have to admit, I was a little nervous about making this cake, Tea loaf is one of my absolute all time favourites and my mum does it so well that I didn't think I would be able to compare. Luckily I managed to make sense of the recipe that my mum sent over to me and the cake was just delicious. I made this as Mark's grandparents came over to see our new (ish) flat and it was lovely. It also went down a treat when I took it into work and as none of my colleagues have (yet) died of food poisoning, I'm going to count this as a success! Place the dried fruit, demerara sugar and a teacup of strong tea in a bowl and leave overnight (or as long as possible). This makes a delicious looking bowl of fruit and the raisins are so fat and juicy! Grease and line a 2 lb loaf tin and heat the oven to 160°C. 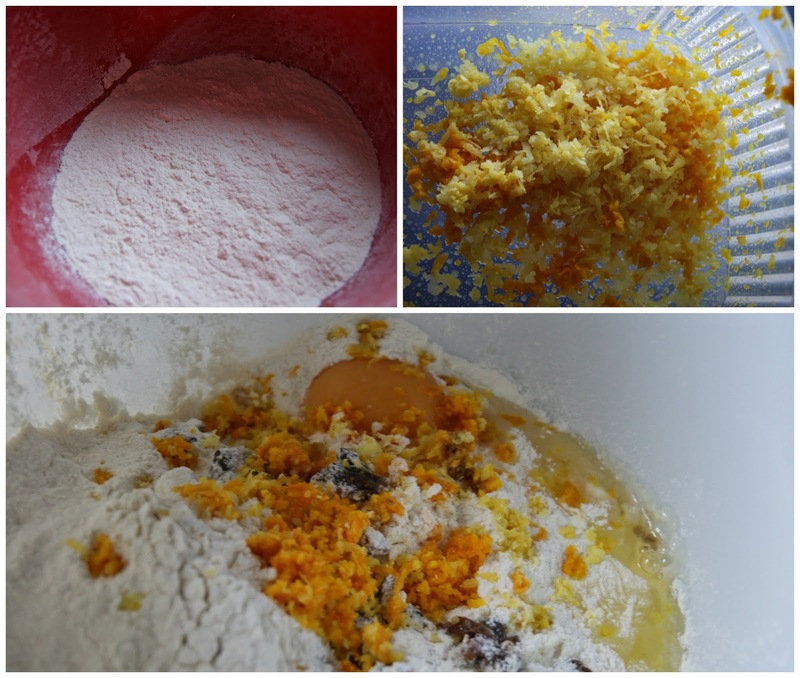 Add the flour, egg and grated rind to the fruit mixture and beat well. I love any excuse to use my Kenwood mixer and it makes the whole process so much easier! Although the mixture may look gross, I can promise that it tastes delicious! Add your mixture to the tin and level it off. Scatter chopped walnuts on the top and then add a tablespoon of caster sugar. Your tea loaf looks awesome, such a classic cake. Looks delicious! I've given up chocolate for Lent so this is the perfect treat!